The Short Version: If you’re frustrated with the online dating scene, or if you don’t have time to hunt through a club for a date, a dating agency can be a great solution for finding someone special. Select Personal Introductions helps singles meet people who have been vetted and deemed quality relationship material. The company arranges introductions for eligible members who are living or working in the Northwest and West Yorkshire areas of the United Kingdom. The agency’s attentive dating consultants make smart matches and give personalized dating advice to help clients meet, date, and fall in love offline. Since 1997, Select Personal Introductions has taken on thousands of commitment-oriented clients and matched them in lasting relationships. Janet, a single women living in the UK, turned to Select Personal Introductions for help in her search for love. In a one-on-one consult, dating expert Jackie got a feel for what Janet was looking for and who would be a good fit. After careful consideration, Jackie offered her the file of a date prospect named George. She thought it was a surefire match, but Janet resisted because the man was two years older than her preferred age range. Eventually, Jackie persuaded the single woman to look beyond her preconceptions and give the guy a chance. The Select Personal Introductions team members pride themselves on working closely with clients and offering personalized guidance throughout the dating process. Based in Northern UK, this offline dating service has been matching single professionals since 1997 and has a vast database to pull from. 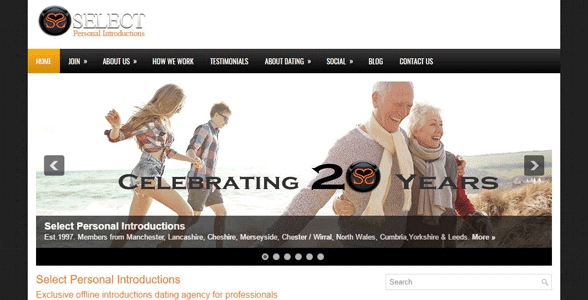 Select Personal Introductions is a confidential dating solution catering to singles in the UK. You can fill out an application for free and then receive an introductory call from a professional dating adviser. If you meet the company’s requirements, you can become a member for a low one-time fee. Alex Mellor-Brooke, Business and Development Manager at Select Personal Introductions, told us this selective agency only serves quality singles in certain areas of the UK. Based on two decades’ worth of professional experience, the team makes realistic match suggestions, gives individualized dating advice, and helps relationship-oriented clients get out of their own way in the dating scene. 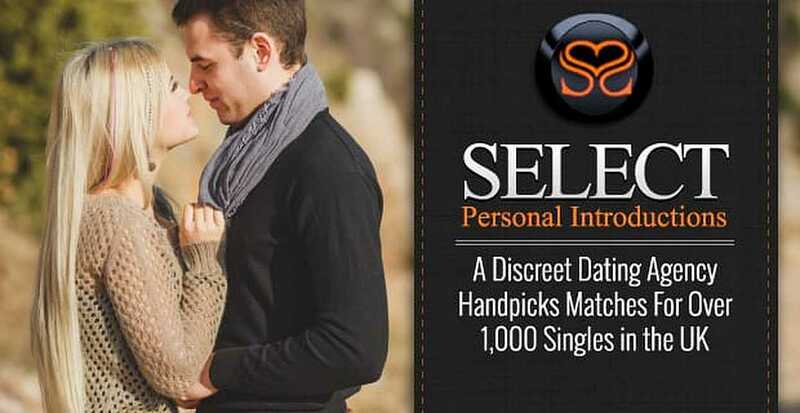 Select Personal Introductions streamlines the search for compatible dates. Each applicant is vetted by the team to ensure a quality membership that can benefit from the service this unique dating agency offers. Alex told us the company doesn’t try to sell its service to singles who don’t need or want it. They’re interested in helping clients find the way that works best for their dating styles. 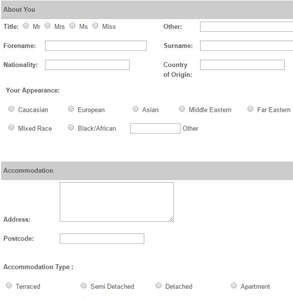 To ensure the best fit, the application looks into a wide range of personal details including appearance, accommodation, employment, hobbies, politics, family, and dating criteria. The team wants to know everything from what books you read to what kind of car you drive. This dating agency carefully evaluates singles before accepting them as members. Then Select Personal Introductions gives clients recommended matches based on decades of professional experience. Clients look over the files of compatible and eligible singles and only receive contact information if both parties express interest in meeting in person. This hand-selected match service encourages daters to slow down to consider individuals without making snap judgments. On the website, Selection Personal Introductions offers straightforward dating do’s and dating don’ts as general advice to all singles out there looking for love. Clients receive even more personalized guidance and insight into the dating world so they feel comfortable and confident when meeting someone offline. If you want more than a casual, surface relationship, Alex maintained that online dating might not work for you, and a professional dating agency, like Select Personal Introductions, is the way to go. Select Personal Introductions has slightly more female members because women tend to be more proactive in their love lives, according to Alex. This is a localized service in the UK; all members must live or work within the Northwest and West Yorkshire areas, which includes Manchester, Lancashire, Leeds, Liverpool, and North Wales. Alex characterized the company’s clientele as largely successful practitioners who have trouble finding like-minded singles. Select Personal Introductions is a time-saving service for these people. Select Personal Introductions vets clients in a thorough application process. Sometimes the most important thing the team of dating professionals can do for their clients is to get them to feel comfortable and confident on a date. The team’s feedback is based on repeated notes given by the client’s dates. If something keeps coming up — like poor body language or aggressive conversational style — Select Personal Introductions will let you know so you can improve your dating demeanor. Select Personal Introductions also promotes local singles events to give their clientele even more options to meet new people. These social events can include singles holidays, activity day experiences, life coaching, counselling, or holistic treatments. Alex told us a story about a client who was referred to Select Personal Introductions by her sister. The sister had been matched with her husband thanks to the service, and Alex was gratified to hear they were still together. Then his client pulled out a picture and showed him the couple’s newborn baby. He was floored. The agency’s testimonials page features dozens of thank-you notes written by happy couples celebrating proposals, going on honeymoons, and building a life together. Since 1997, Select Personal Introductions has offered exclusive dating consultations and introductions to help UK singles meet eligible partners and forge lifelong relationships. Experienced dating consultants hand-select matches from a database of over 1,000 singles and arrange offline introductions between compatible men and women, like Janet and George, who have expressed interest in one another. The company’s discreet and catered services save daters time in their search for the one. Select Personal Introductions gives high-caliber singles the means to connect with compatible people and meet in a natural, face-to-face way. The dating agency has stood the test of time because its thorough methods outstrip the impersonal and contrived interface of a dating site.